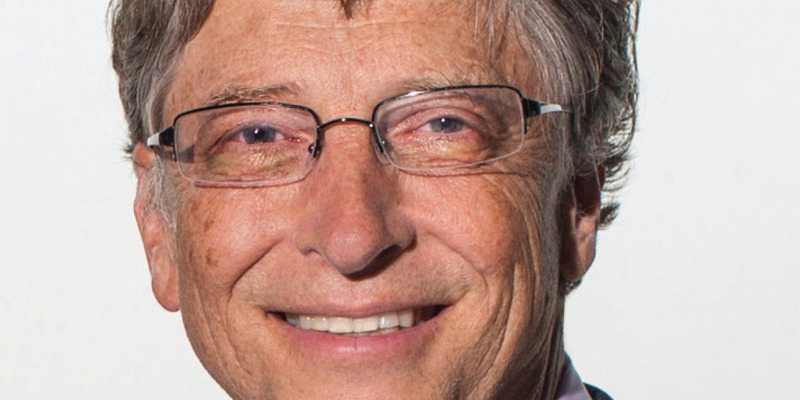 Bill Gates, co-chair of the Bill & Melinda Gates Foundation, will be the Monday general session speaker at the NACUBO 2014 Annual Meeting in Seattle, July 19–22. Bill and Melinda Gates, co-chairs of the Bill & Melinda Gates Foundation, shape and approve grantmaking strategies, advocate for the foundation’s issues, and help set the overall direction of the organization. The foundation works to expand opportunity to the world’s most disadvantaged people by collaborating with grantees and partners. Among the foundation’s issues are global health, global development, and education in the United States. The Bill & Melinda Gates Foundation envisions a U.S. public education system that ensures that students graduate from high school prepared to support themselves, engage in their communities, and achieve their dreams. The foundation’s College-Ready strategy focuses on strengthening the powerful learning connection between students and teachers by setting clear expectations for college-readiness, personalizing learning experiences for both students and teachers, and supporting and developing effective teaching. The goal of its postsecondary work is to ensure that all students who seek the opportunity are able to complete a high-quality, affordable postsecondary education that is tailored to their individual needs and leads to a sustaining career. Gates began his major philanthropic efforts in 1994 when he created the William H. Gates Foundation, which focused on global health. Three years later, he and Melinda created the Gates Library Foundation, which worked to bring public access computers with Internet connections to libraries in the United States. Its name changed to the Gates Learning Foundation in 1999 to reflect its focus on ensuring that low-income minority students are prepared for college and have the means to attend. In 2000, the two groups merged into the Bill & Melinda Gates Foundation. In 1975, Gates left Harvard University in his junior year to focus on Microsoft, the company he founded with his childhood friend Paul Allen. As chief software architect and chairman, Gates led the company to become a worldwide leader in business and personal software, services, and solutions. In July 2008, Gates transitioned to a new role as chairman of Microsoft and adviser on some key development projects. Gates grew up in Seattle with his two sisters. His father, William H. Gates Sr., is a co-chair of the foundation and a retired attorney. His late mother, Mary Gates, was a schoolteacher, University of Washington regent, and chairwoman of United Way International. The Gateses have three children. The NACUBO Board of Directors is recommending that the association raise its overall dues by 0 percent for the membership year 2015–16. Each year, the board strives to balance NACUBO’s financial position with the needs of the community to determine how the association can continue to meet its strategic goals. “The Board of Directors continuously evaluates NACUBO’s financial position, the needs of our members, and new initiatives to determine how we can best meet our promise to deliver relevant new programs, information, and advocacy efforts that add value for NACUBO members,” says Mary Herrin, NACUBO board chair. “Additionally, NACUBO recognizes that it must continue to be a role model for operating effectively and efficiently.” The association will continue offering its high-quality resources and services to its members without raising dues for 2015–16. In accordance with NACUBO bylaws, the recommendation will be presented for a vote at the annual business meeting for primary representatives at the NACUBO 2014 Annual Meeting. Invitations to this meeting will be distributed to eligible primary representatives. NACUBO CONTACT Primary representatives with invoice questions may contact Kristin Witters, manager of member services, 202.861.2560, membership@nacubo.org. NACUBO offers members a variety of products they can use to help their institutions in several areas, including continuous improvement, investment pools, and strategy and business operations. Following are some of the items that are available. The Organizational Development series of programs, formerly offered only as individual CD-ROMs, is available in an online format through the MyNACUBO portal on the NACUBO Web site at www.nacubo.org. The purpose of the series is to help colleges and universities build internal capacity for leadership, assessment, and continuous improvement. Organizational Outcomes and Performance Measurement. The Leadership Style Inventory: Becoming a Strategic Leader. The Communication Style Inventory: A Guide to Social and Professional Competence. The project was led by Brent D. Ruben and was designed by the Center for Organizational Development and Leadership at Rutgers, the State University of New Jersey. For more information, visit the Online Publications page at www.nacubo.org. 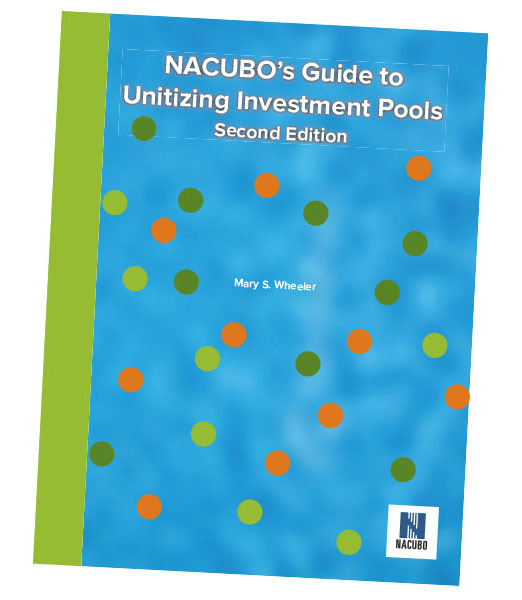 The fully revised NACUBO’s Guide to Unitizing Investment Pools has been updated to address policies and reporting that are in compliance with Financial Accounting Standards 116 and 117 (ASC 958-605 and ASC 958-205), GASB Reporting Standards 34 and 35, UPMIFA, and the Revised IRS 990. It includes details on managing a consolidated investment pool using a unitized approach, offers three unitization models, and illustrates the alternative—a nonunitized or “dollarized” approach. The guide is ideal for those who want to update their current unitization model or just want to understand the principles and concepts for administering a consolidated investment pool. The book also offers online access to a series of downloadable spreadsheets for readers to use. For more information, visit the Products page at www.nacubo.org. CFO Perspectives features online white papers that examine the role of a chief financial officer (CFO) in different institutional or operational settings. Each white paper, available for free from NACUBO, focuses on the unique demands of an institution and offers strategies to manage business operations within that context. Written by authors with extensive experience in financial operations, the papers offer insights that may prove especially helpful to new CFOs or board members, presidents, senior administrators, faculty, and staff. To read these Perspectives papers, visit “Complimentary White Papers” under the “Publications” tab at www.nacubo.org. For more information on these products, contact Tadu Yimam, director of online learning, at 202.861.2502. You will be able to access the 2014 Higher Education Accounting Forum’s virtual platform, which will include 14 sessions, after May 21. The program offers the latest information on trends and best practices in financial accounting and reporting, managerial analysis, and leadership issues for all types of institutions. The program is available online for you to experience from the comfort of your own offices. During the sessions, there will be live chats with the speakers. What’s even better is that NACUBO is offering your entire team one price. When one person on your campus registers at the full price, other staff can register for free. Each additional attendee must complete the online registration process to have full access to the event. All online attendees will continue to have access to the content through April 1, 2015. For more information, visit www.nacubo.org. FASB’s Proposed NFP Reporting Changes: What Higher Education Needs to Know. Attendees learned about the Financial Accounting Standards Board’s effort to improve the not-for-profit reporting model. Until now, the FASB has reached preliminary decisions on cash flows, net asset classes, and an operating measure. Speakers discussed how mission and resource availability influence operating results and how operating activities relate to direct method cash flow reporting. To watch a recording of a webcast, or to access previously held webcasts, visit the on-demand section of the Distance Learning page at www.nacubo.org.